Rapid Application Development (RAD), Agile Development, and Scrum, have been major topics in the front offices of large and medium size companies worldwide. 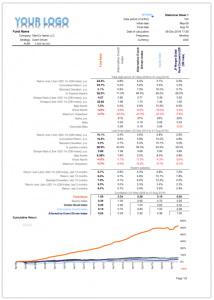 The urgent need of having an application working ASAP have put Excel as the main tool at hand. 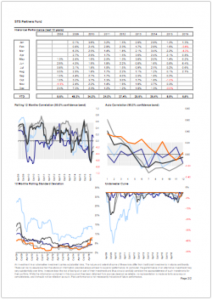 Excel facilitates the work because it is a flexible and familiar user interface. 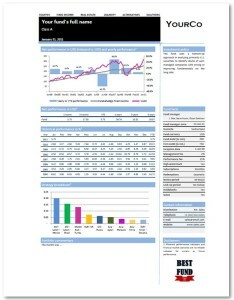 Excel can perform calculations, format text, and display charts natively. However, the connection to databases have been an obscure part of it. Mostly solved via a Data Connection Object, which is complicated and difficult to share with colleagues or using a VBA macro, that despite being effective, not always perform as fast and robustly as desired. At qUtopic we know these issues because we have been dealing with them for many years. Our answer are the qUtopic functions. A set of database querying functions encapsulated in an XLL Add-in coded in C++. qUtopic is an ideal lightweight affordable solution to any RAD development. Try qUtopic today! In computing, ODBC (Open Database Connectivity) is a standard programming language middleware API for accessing database management systems (DBMS). The designers of ODBC aimed to make it independent of database systems and operating systems; an application written using ODBC can be ported to other platforms, both on the client and server side, with few changes to the data access code. ODBC accomplishes DBMS independence by using an ODBC driver as a translation layer between the application and the DBMS. The application uses ODBC functions through an ODBC driver manager with which it is linked, and the driver passes the query to the DBMS. An ODBC driver can be thought of as analogous to a printer or other driver, providing a standard set of functions for the application to use, and implementing DBMS-specific functionality. An application that can use ODBC is referred to as “ODBC-compliant”. Any ODBC-compliant application can access any DBMS for which a driver is installed. Drivers exist for all major DBMSs, many other data sources like address book systems and Microsoft Excel, and even for text or CSV files. ODBC was originally developed by Microsoft during the early 1990s, and became the basis for the Call Level Interface (CLI) standardized by SQL Access Group in the Unix and mainframe world. ODBC retained a number of features that were removed as part of the CLI effort. Full ODBC was later ported back to those platforms, and became a de facto standard considerably better known than CLI. The CLI remains similar to ODBC, and applications can be ported from one platform to the other with few changes. * Driver need to be downloaded from here. You can also find a variety of ODBC strings at this great useful website www.ConnectionStrings.com. 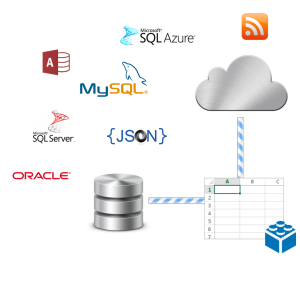 With qUtopic.xll you can connect your spreadsheet to any database via ODBC using functions. 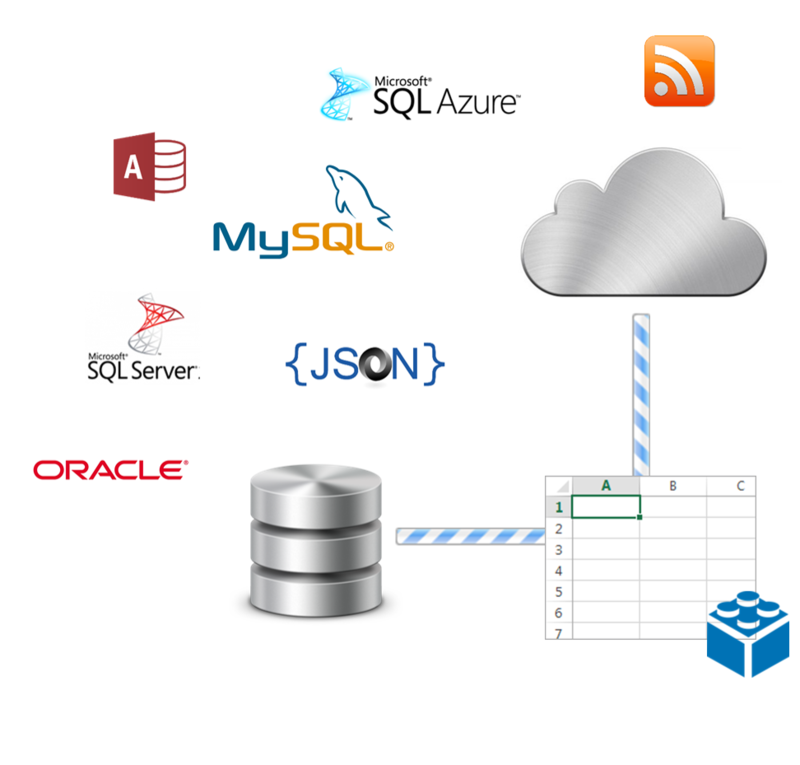 That includes SQL Azure™, which is SQL in the cloud, Oracle®, MySQL™, MS Access®, and website data in many formats. We are continuously developing our product to easily include all popular sources. You can request data from multiple data sources in a single spreadsheet as long you know your connections string and have the adequate clearance. No need to create a connection file. 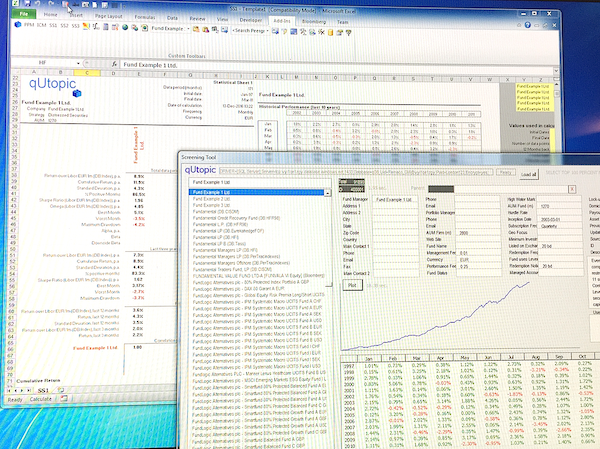 Each function is fully documented and seamlessly integrated with Excel. Just hit F1 and you will be brought the requested topic. Additionally, qUtopic hosts an online forum where matters are discussed more in detail and new examples and templates are posted constantly. 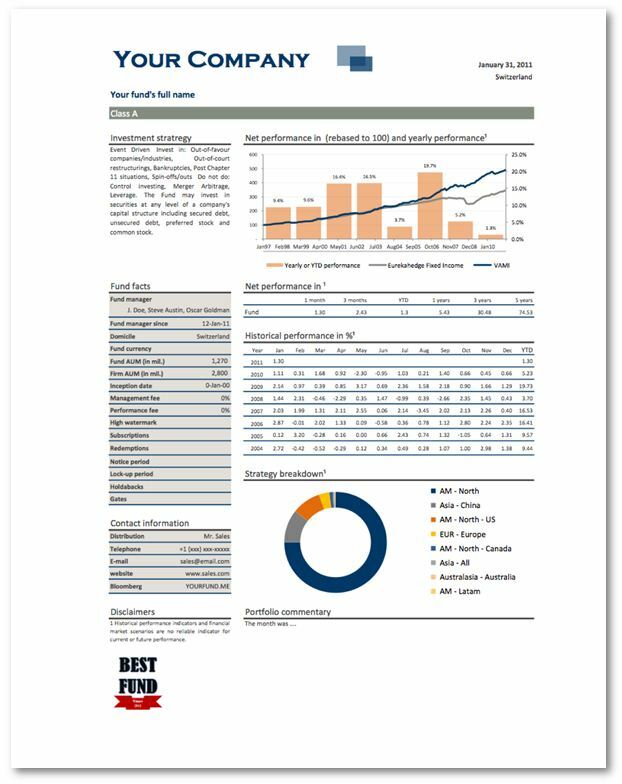 If you are a fund management company in need to communicate your investment products’ periodic performance your most cost-effective answer is Excel®. 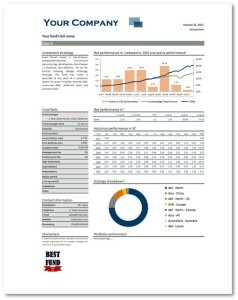 You can produce a high-quality eye-catching report with a professional look for your clients and prospects. The report format should be stable enough to convey a branding message, but with certain flexibility to be a real useful communication tool. You would probably like to add your comments, news, awards, and even cutting dates for new subscriptions, but most of the things will remain constant. Some data is repeated exactly every period. We call that static data. And some other data changes as time passes by. We call this dynamic data. The great part of this Excel template is that uses “dynamic data” from an SQL Server database. In this case, we have posted data in the cloud so you can test the report. If you open this report, with qUtopic.xll installed, you will see only one sheet in your workbook. 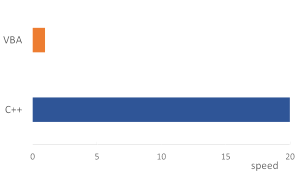 On the left how this report will look like in the classic WISWIG way and on the right all the data used. 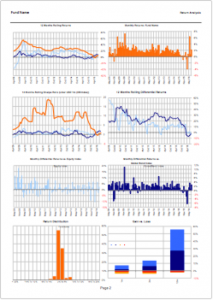 We used blue to mark static input data, green locally calculated data, and orange data obtained from a database with qUtopic functions. Take a look to the template! It’s free. 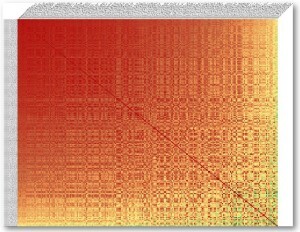 Up to 250 x 250 instruments in a single correlation matrix. 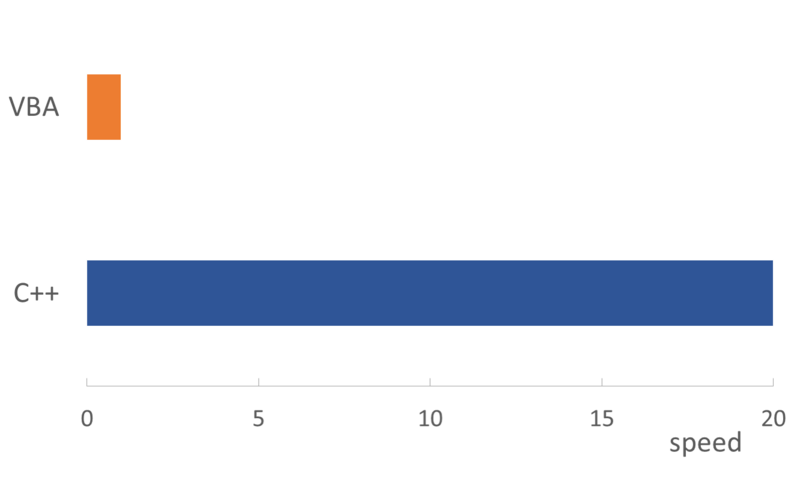 Each cell takes the value of the correlation between the instrument in the row and in the column displaying a numbers between -1 and 1. Then the matrix is coloured using red for 1 or high correlation, yellow for 0 or no-correlation, and green for -1 or uncorrelation. In this example you can test how fast Excel could be dealing with 20,000 contact names coming from Azure. 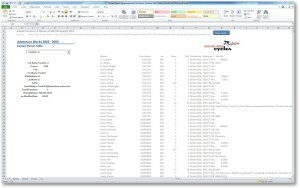 The spreadsheet uses a list of names obtained using the statement SELECT FirstName, LastName AS Name FROM Person.Person ORDER BY FirstName directly from then AdventureWorks2012 database. Then using a ComboBox, which is a standard ActiveX control, you can choose one of those names to, in turn, feed another formula that gets details of that contact. * Requires admin rights to run installation. ** Limited to one level, no nesting. *** Only lines to rows. 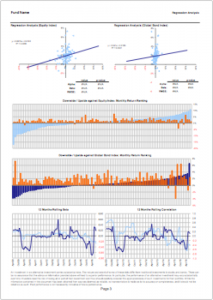 qUtopic is a platform designed to help analysts and portfolio managers invest into hedge-funds and other actively managed funds. 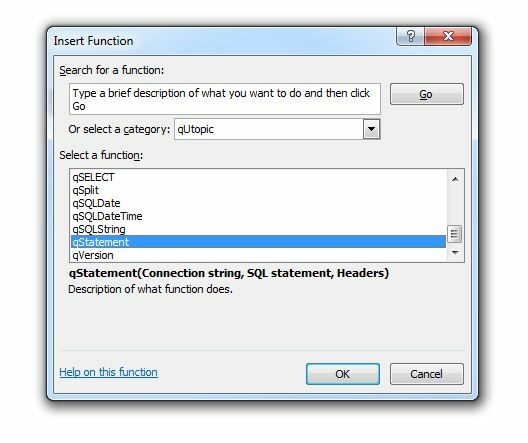 qUtopic is also a set of Excel functions designed to seamlessly include information from a database into your spreadsheet. Just leverage your expertise in using formulas to quickly grab the pieces of data you need. There is no need to use code or macros behind your spreadsheets. You only need to know your connection string and your query statement. 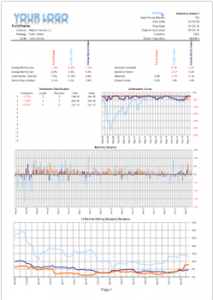 Create fund reports and connect them live to your data sources using just functions using qUtopic. 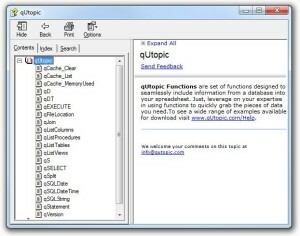 qUtopic is available as an Add-in for Microsoft Excel.